Selling this used container of cedarwood and sandalwood cream. It’s about 70 to 80% full it’s been scooped and lathered in bowl. 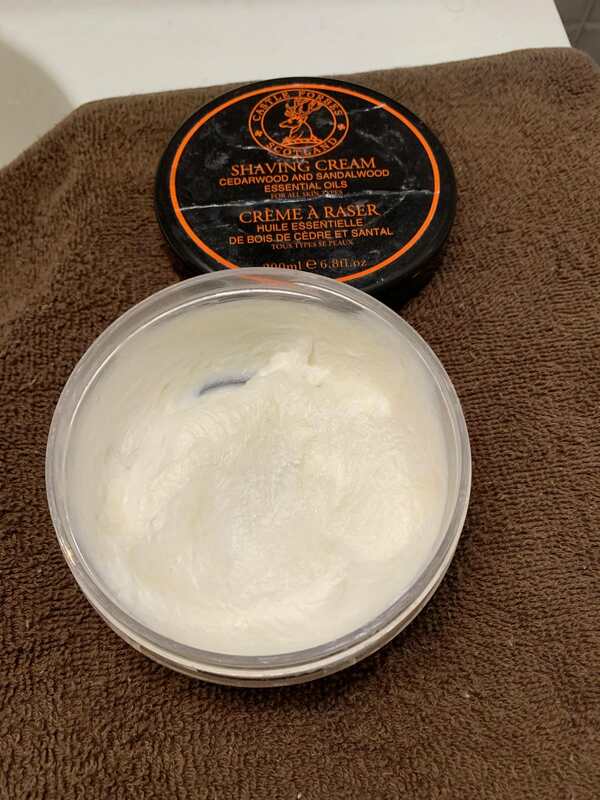 The container is not perfect but it’s a great cream. I’m just knee deep in soaps/creams. $15 shipped conus. Retail is about $35 on amazon.